New Orleans has plenty of good places to eat. 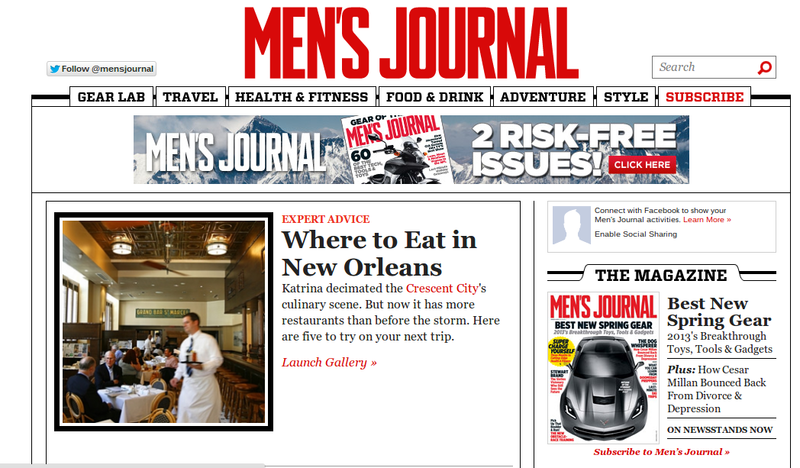 MensJournal.com recently offered up its top five places to eat. Read the full post here for details and pictures from each restaurant.